Despite some rain in mid August and in September, the grapes are ripening beautifully and are very healthy, this quality has not been seen since 2010. Everyone is smiling, not really seen for some 5 years! Températures have dropped into the 20°s but most days have been sunny despite a cloudy showery few days mid September and the odd shower yesterday. Windy conditions following the rain showers have helped to dry the bunches. I have seen no rot on the right or left banks. The grapes are coming in beautifully healthy. In additon a series of cold nights in early September was perfect for developing the complexity of aromas. 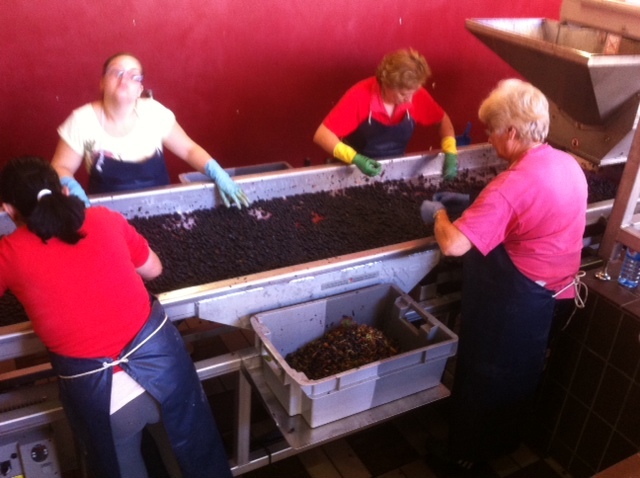 Most producers on left and right banks started picking their Merlot on Monday 21st September (few started the end of the week before with Young plants which ripen first). 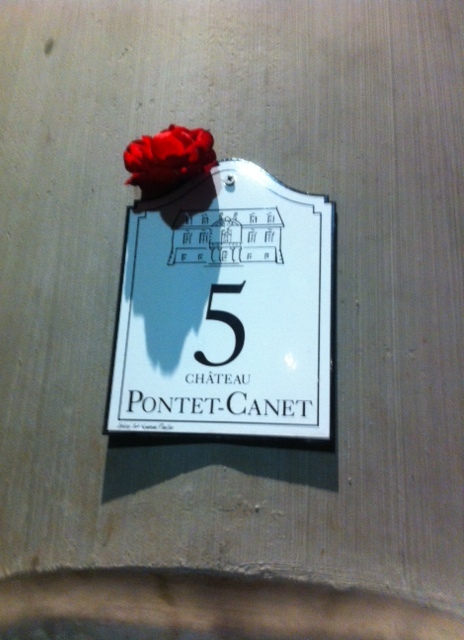 Bodynamic producers such as Fonroque in St million and Pontet Canet, find their vines ripen one week before the conventional producers and are well on their way. 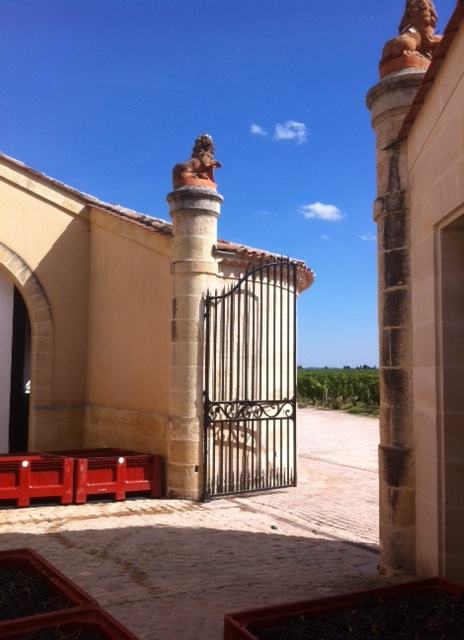 Infact Merlots particularly in the hot conditions of Pomerol were suffering slightly prior to the rains with high sugar levels and potential alcohol levels of over 14°. At the same time the skins and their tannins were not ripe yet, nor were the pips brown. The rains have eased this and enabled producers to wait for the perfect moment and producers on the plateau have been able to wait until this week to start properly. The biggest concern this year due to the hot sunny summer is high potential alcohol levels. There is so much sugar in the grapes that (17 g per litre gives one degree of alcohol) that the eventual alcohol levels are predicted to be in some plots around 15°. Acidities are low. 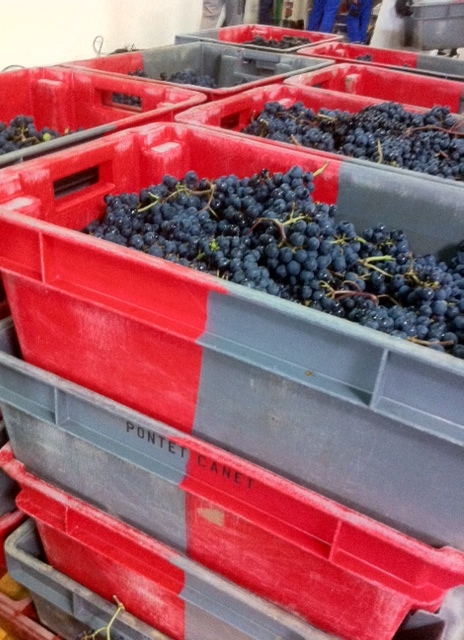 There is a lot of colour and tannins. 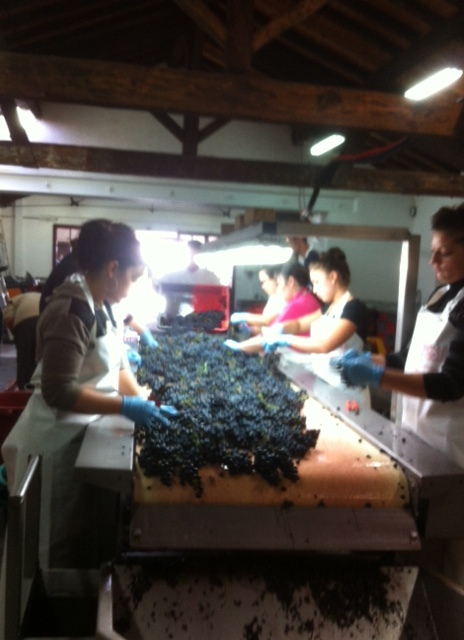 These are going to be big wines! For longterm ageing. The rainfall has also enabled the berries, that looked like black peas, to slightly enlargen. The grapes of the Merlot (normally larger) until recently could have been easily mistaken for the smaller Cabernet Sauvignon! Sunny weather is set to continue for the completion of the Merlot and fingers crossed for the Cabernet Franc and following the Cabernet Sauvignon next week. The new moon on 28th September is a worry for some ‘sensitive’ producers! What we need right now is a Crystal ball. 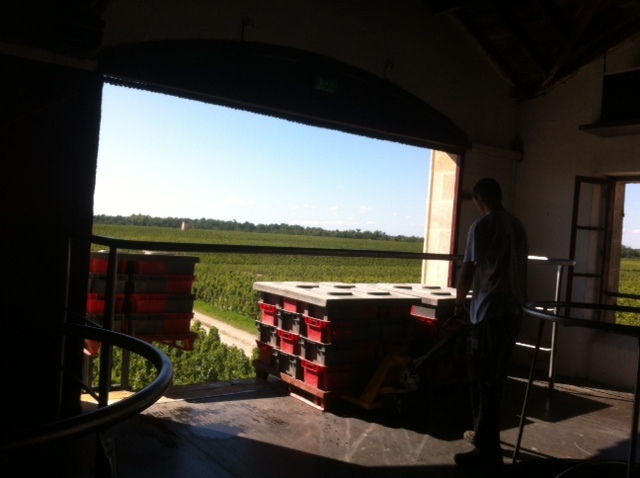 The Bordeaux 2015 White wine is bubbling in the vats and producers are very happy. 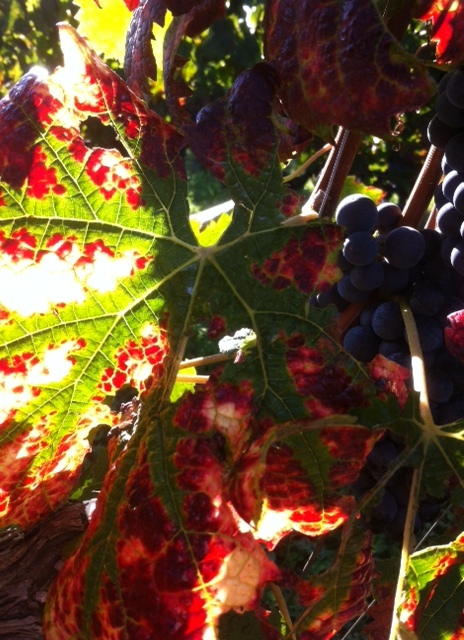 The rainfall has started the noble rot so sweet wine producers are happy too. The rain was needed after the very dry conditions. 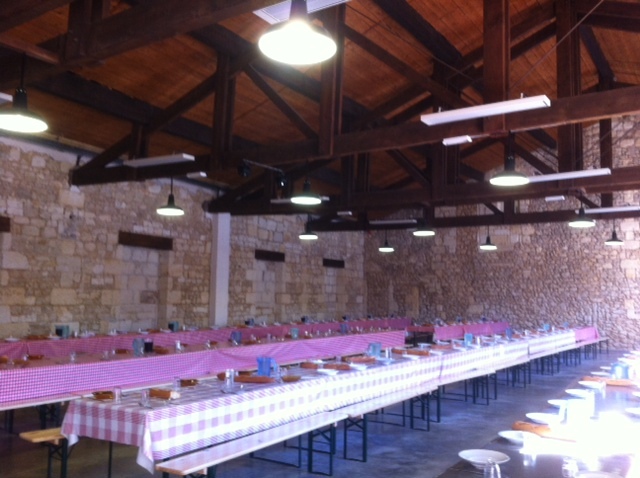 « 2015 Bordeaux Caribbean Summer, Indian one to follow? Hello, please what is your estimate on quality of wines 2015. I know grapes are healthy and well matured, but cannot be something wrong with it becouse of extreme heat and extreme dry and early harvest ? We have not had a heat-wave, just lots of sunshine. There was much needed rain in mid August. 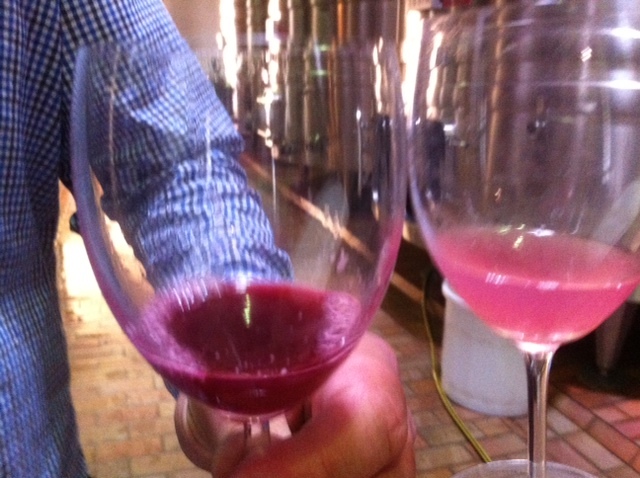 It is going to be a great year of full bodied deeply coloured wines for long ageing. Like 2005 or 2010. Alcohol and tannin levels are high and perhaps the only worry are the acidity levels in some cases.